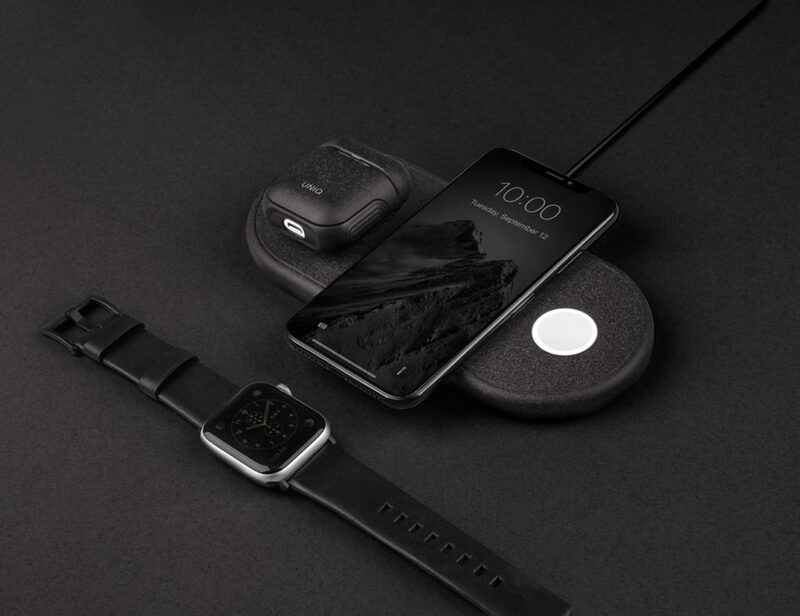 With two slots to hold wallet essentials (credit cards / ID / cash) and easy access to all your smartphone’s features, Donna transforms your iPhone or Galaxy S5 into a piece of wearable technology. Navigate your day and evening hands free, chic, ready and always connected. 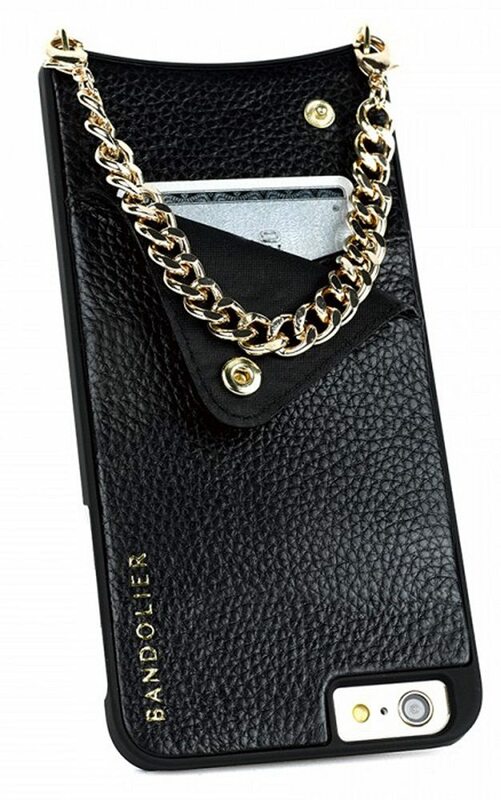 Donna features a pebbled black leather case with black leather strap and gold connectors. Strap length measures 52 inches. Two precision cut slots in back to hold credit card and driver’s license on iPhone version. Available for iPhone 5/5S (does not fit 5C), iPhone 6 and 6 Plus). Available for Galaxy S5 (cases do not have credit card slots due to space limitations).